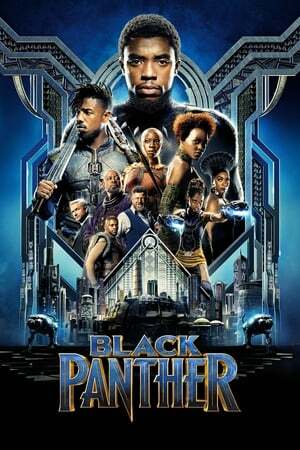 The reviews for _Black Panther_ are all essentially saying the same thing: This is a great movie because it's so different from anything we've seen before, not just in the MCU but in the superhero genre overall, the villain is fantastic and _Black Panther_ is just a new and totally innovative film. Allow me to disagree (almost) entirely. _Black Panther_ is a great film, not because it breaks the mould, but because Marvel Studios has a successful pattern and _Black Panther_ adheres to it completely. Obviously the importance of a lead who is not just black but actually African is not to be understated, we have the least white cast of any superhero movie to date and they absolutely killed it, all very important socio-political stuff, to be sure. But the bones of _Black Panther_, the plot, the script, the events, the turns, all of that, it's a carbon copy of what's worked 17 times before. It works again, don't get me wrong, _Black Panther_ truly was an experience, both important and fantastic, but to say it re-invented the wheel here, is, to me, an outright lie. I think Ray G.'s rating of 9 stars for the film Black Panther is inaccurate. I don't believe the film merits such a boisterous rating, the cast was mainly folks of the skin color brown, I did not appreciate this. I think that the film would've been much better if there was not a single brown man cast. It felt to me as though the film's title should've been White Panther, this would have been a less appropriate title, however I believe with my above suggestions, this title would've been more accurate. Again, black folks do not belong in Hollywood film. A really cool adventure if you ask me. Like promised, the film did not disappoint, at all. I specifically loved Killmonger's character. He is not a bad guy in the conventional sense but then has to be stopped. I understood his side of the story quite literally. Am definitely repeating this.